Close your eyes. 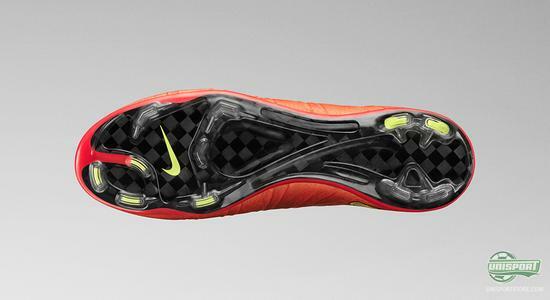 Imagine a football boot that takes all the best elements we know from football boots - and then add some. Open your eyes again – you don’t need to imagine anymore, because it’s right in front of you. At a grand launch event in Madrid, Nike have just presented the world with their newest revolution: the Nike Mercurial Vapor Superfly. 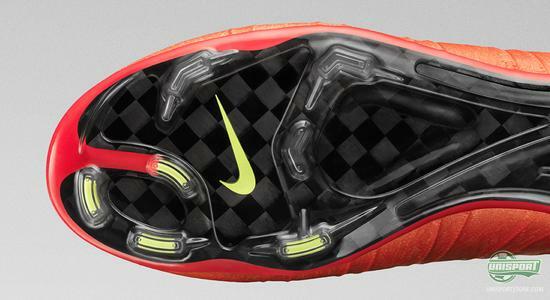 When Nike in 1998 headed to the World Cup in France, they did so with a special piece of innovation in their arsenal. Back then, they took the world best football player, Ronaldo and equipped him with a football boot that since then has earned itself a special place in the hearts of lightweight boot lovers around the world. The boot in question is of course the Nike Mercurial. At this year’s World Cup Nike once again have the world’s best footballer in their little family. This time it is Cristiano Ronaldo and once more Nike deliver a boot that breaks the boundaries for people thought possible with a football boot. How could it be any different? Still we struggled to fathom just what we were seeing, when Nike showed off the new boot. 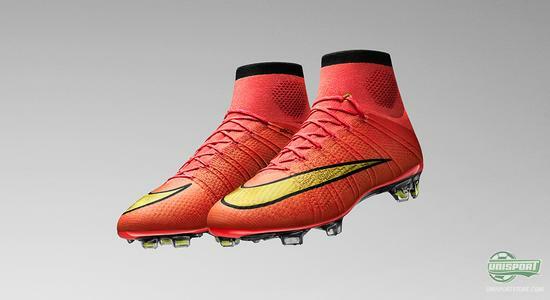 Nike have for the last few months warmed up with the Mercurial-collection, so it was ready for the finals. 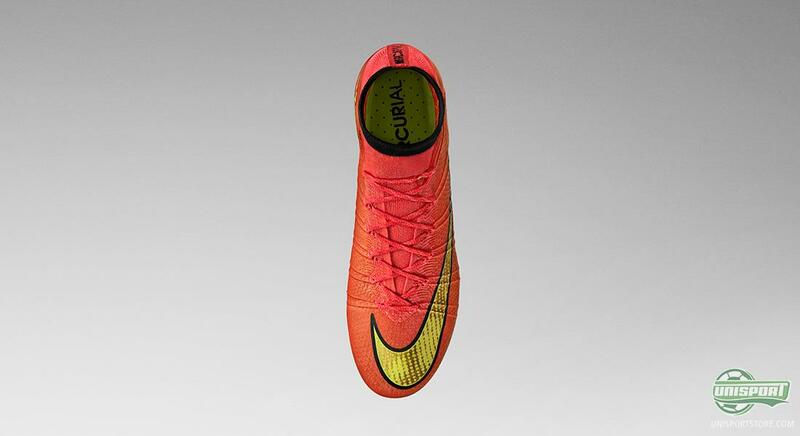 With the launch of this new boot, Nike really put a line under the fact that World Cups equal new Mercurial’s. Four years ago Nike and CR7 headed to South Africa with the Superfly II Elite, which really took the world by storm. 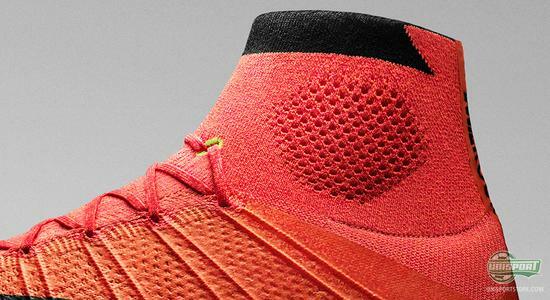 However if that boot took the world by storm, this new Superfly will be an epic typhoon. 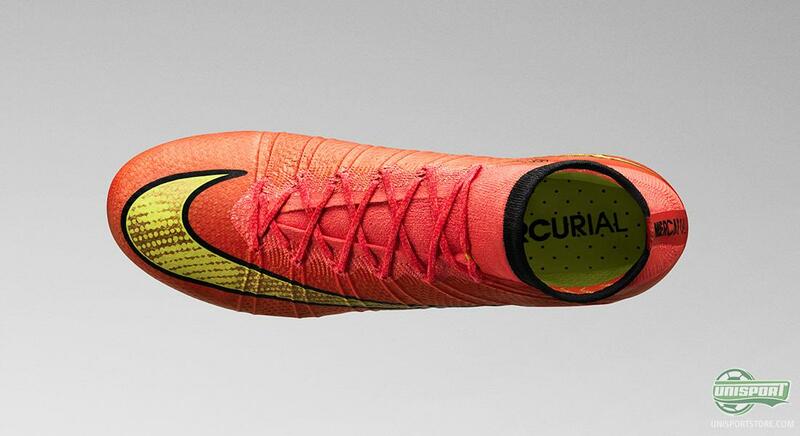 This is how Nike have made the boot, to sweep aside anything that opposes it, with explosive speed. Since the first Superfly saw the light of day in 2009, it has reached new heights of popularity among lightweight boot fans. Especially characteristic to the boot is the incorporated Flywire technology, which is a series of strings (like a suspension bridge) that surround the foot, almost like an extra piece of skin. On this revolutionary boot, the Flywire has not been forgotten. But what makes this football boot so fantastic? 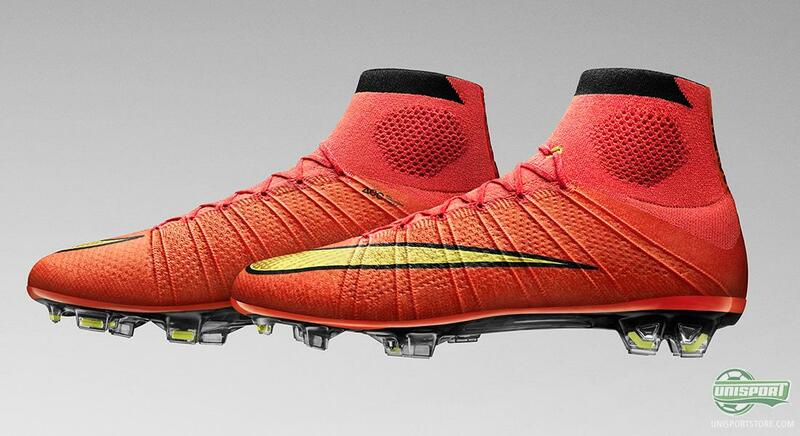 Well, you can hardly avoid the fact that the new Nike Mercurial Superfly bears a striking resemblance to a boot, we first saw about a month and a half ago – the Magista Obra. Just like the Magista, the new Nike Mercurial Superfly has also got a Flyknit upper, as well as the very noticeable Dynamic Fit Collar. This firmly underlines the fact that Nike mean business, when they say that football will never be the same again. This Dynamic Fit Collar, together with the Flyknit upper and Flywire kabels create a boot, with a very real feeling of barefoot football. And this is probably the football boot, which provides the very best fit around the foot ever. As we have learnt from the Magista, the Flyknit technology is not just there to create a more comfortable fit, but also to optimise the contact between the foot and ball. The upper is made up of a microtexture version of the Flyknit, which has in turn been covered with a thinner variation of the NIKESKIN, so it is less than 0.1 mm. thick. This material is liquescent during production, so it is fused on top of the boot, which also allows for the implementation of ACC, thus keeping the upper watertight and the boot durable. To make a football boot like the Nike Mercurial Superfly live up to the explosive speed, which its predecessors are famous for possessing, the boot needs to have a firm grip. 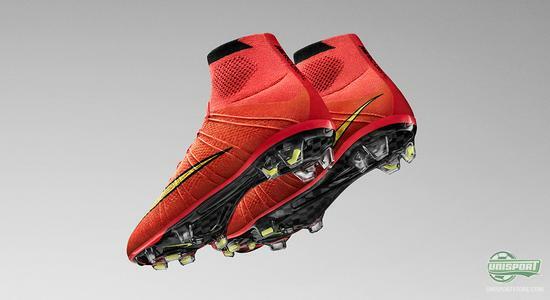 Nike have tried many different stud-configurations and this new Superfly has a new development of the previous stud-system and sole to aid your acceleration. For this new football boot Nike have equipped their boot with a particularly explosive sole in carbon fibre, which is a material rivalled by none, in terms of weight and responsiveness. That carbon fibre is the prime material for this is nothing new, but new is the stud-configuration, which looks very different compared to the latest generation of Mercurial. The Superfly boots are usually equipped with the Nike Sense system, which gives players greater movability. For this Superfly Nike have however developed a new rotation system around the big toe, because they have discovered that most of the energy and power comes from this particular area of the foot. 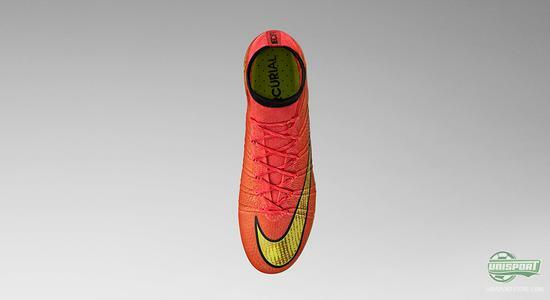 The studs are the well-known bladed Mercurial studs, but while the Mercurial Vapor IX had two studs on the heel, the Superfly will have four. This is to ensure more stability around the hell and further stabilise your grip. Nike’s new Mercurial Vapor Superfly is naturally made with Cristiano Ronaldo as the main source of inspiration and we will see him wearing this very special football boot during the World Cup in Brazil. Therefore Nike have now completed their World Cup set, which is comprised of the Nike Magista Obra, Mercurial Vapor Superfly, Hypervenom and Tiempo Legend V, all of them in different combinations of neon, red and black. If we were struggling to contain our excitement for the World Cup, Nike certainly didn’t make things any easier. No one could have foreseen the surprise Nike gave us, when they in March presented us with the Magista Obra. 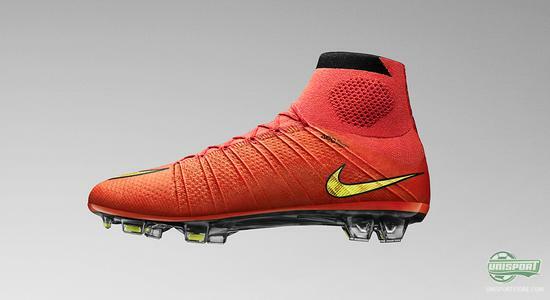 A football boot made with a Flyknit upper and ankle collar. 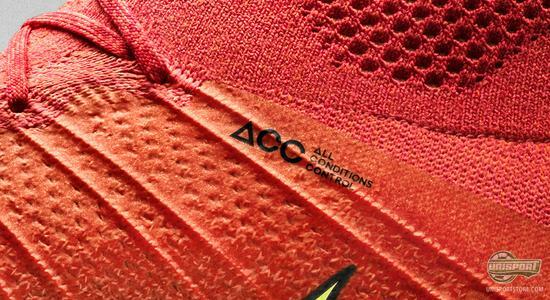 And even though we had played with the idea of a new Superfly in style with the Magista, it didn’t reduce the excitement of seeing this brand new boot. 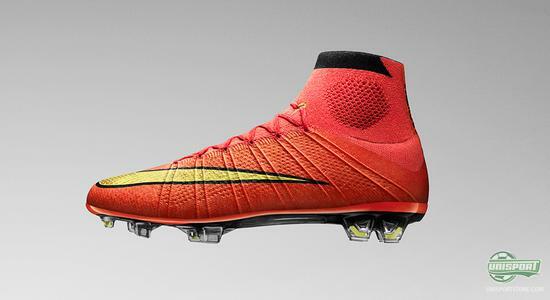 This boot is nothing short of amazing. We cannot wait to see it in action. What is your first reaction to this new incarnation of Mercurial? Share it with us in the comment-section down below, or on Facebook, Twitter and Instagram.